When it comes to Breast Cancer prevention, every step we can take is worthwhile! Research is being done on hundreds of fronts about what might help to prevent or cure breast cancer, and one that is showing definite promise is the addition of sea vegetables to our diets. Thanks to their blend of nutrients, vitamins, antioxidants and anti-inflammatory properties, sea vegetables like spirulina are believed to influence estrogen production and, over time, reduce the risk of developing breast cancer. One of my favorite nutrition resources for whole foods, WHfoods, has a lot more reading about the topic. While research continues to be done, we can build sea vegetables into our diet as there are confirmed health benefits to doing so. Spirulina has more antioxidant activity than 5 servings of fruits and vegetables and 3900% more beta carotene than carrots. Spirulina is also a vegan source of complete protein, containing all the essential amino acids. 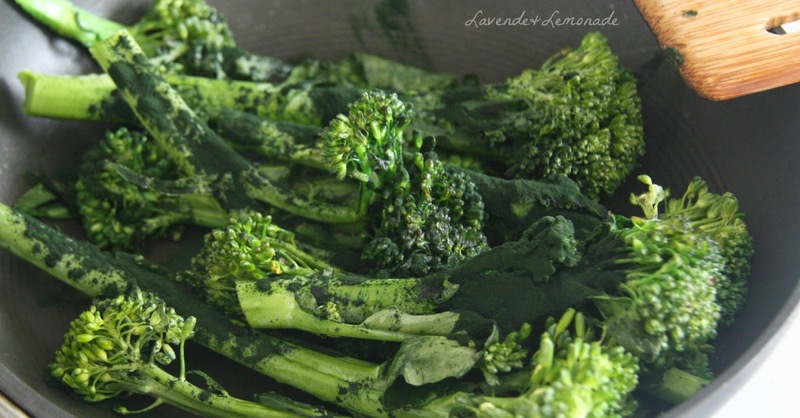 This recipe for Spirulina Broccolini is a great way to introduce spirulina into our diets as a delicious side dish. 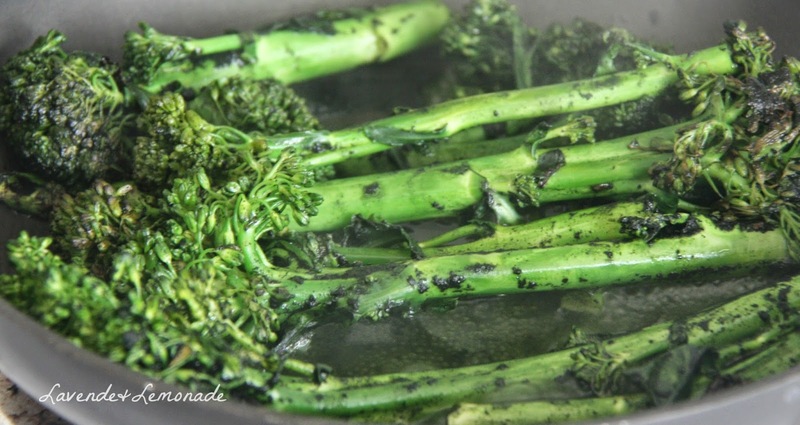 It uses broccolini, otherwise known as broccoli rabe or broccoli rab, or even broccoli rob, which is a member of the very healthy broccoli family. If you cannot find the broccolini, broccoli substitutes in just fine. Warm the olive oil in a pan over medium-high heat. Add the broccoli and saute for a few minutes, until the broccoli just starts to get crispy and lightly browned. Add the water and let the majority steam off (about 5 minutes). When just a light coating of water remains on the bottom of the pan, put on a lid and cook for another 5 minutes or so - until the broccoli becomes tender. This is a great side dish to chicken dinners, and works well over a bed of wild rice as well. I have never heard about spirulina. How did you find out about it? I eat broccoli quite a few times a week, so thank you for this new recipe. Will make it soon. This looks really good and healthy. I actually really like broccolini. That sounds unbelievably delicious. Broccoli is my favorite vegetable. I can't get enough! Oh yummy! That looks like such a delicious recipe. I will HAVE to try this one out. Looks nice and healthy... 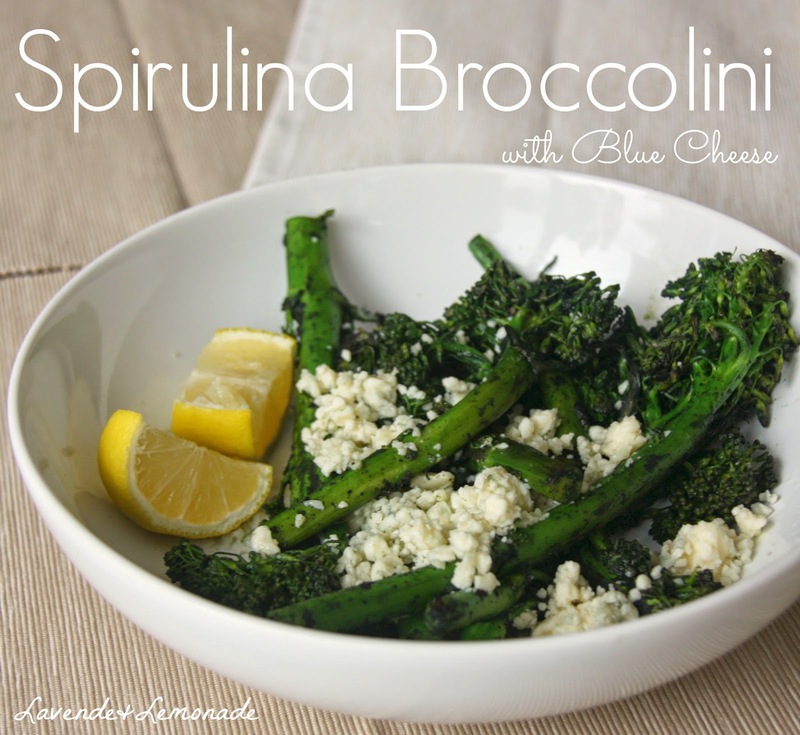 I do not know if i have ever eaten broccolini..
Blue cheese makes a wonderful topping, great choice. This looks likes a great dish! YUM! Thanks for sharing! I would go crazy over this! Both of my favorites in one dish! YUM! I am not sure I would like this dish but I love the spirilina in my vegan shake. I have a shake every morning. it keeps everything working properly. Keeps my cholesterol down. Love the stuff. I don't eat much veggies but I do eat broccoli. It would be really nice to partner this one with blue cheese. I'm all for broccoli recipes. Blue cheese makes this perfect! This is actually a good recipe! Brocollis are always great! Spirulina, I'll remember that! This looks really good. I will be making Chicken tomorrow. I should try this recipe for the side dish. I've never heard of spirulina or brocolini before. What strange vegetables to use! What a great side dish. Super for Fall. Still not sure what Spirulina is but will look for it. I haven't used spirulina for awhile. Great recipe! That sounds yummy! We eat lots of broccoli at our house, so switching to broccolini would be do-able. Thanks for spreading awareness of breast cancer and prevention tips too. I'd love to try this. It's something brand new to me, but the finished product looks good! I have a bag of spirulina for a reviewed and now I have the recipe to use it in. Thanks! What a yummy dish that I have never had. Where have I been??? Looks deliciously healthy! I'll have to make some soon. Not something I could get all my kids to eat just yet but it looks really healthy. How would this be with parmesian cheese. I sometimes do both Parmesan and the blue cheese and its yummy. I personally love the kick of the blue cheese that balances the flavor of the spirulina. But if you leave out the spirulina and use parmesean it is great too! That looks good. I know it sounds odd, but I really want to try broccolini. My family loves, I mean LOVES broccoli. I think this is something we'd like. I enjoy eating broccoli rabe but have never cooked it myself. Your recipe sounds easy enough for me to give it a try. I love broccoli. I have a recipe linky on Fridays. I hope you'll stop by and share your recipe. I am a huge fan of broccolini. I never tried spiralina but I would give it a go for this! This sounds incredible! I've never tried that kind of broccoli, but I'm a huge broc fan so I know I'd like it! This sounds really good. And so healthy too. And a nice change from your average broccoli. Thanks for sharing! I have never tried broccoli like this before, this is so creative! I would love to make this - looks so healthy! Healthy recipe! 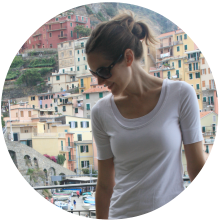 I am going to try this out :) Thanks so much for sharing!